October 26, 2010  Anointed the next bright hope of jazz, last year's breakout pianist took only two days to record his first solo album of originals and covers. Does it live up to high expectations? 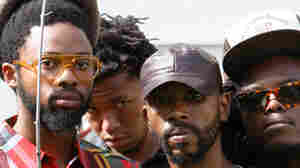 NPR's Tom Moon reviews the album here. 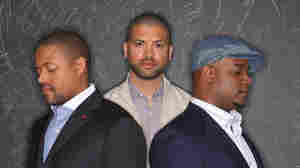 July 2, 2010  The latest recording from Jason Moran and his trio is called Ten, and this year marks the group's 10-year anniversary. 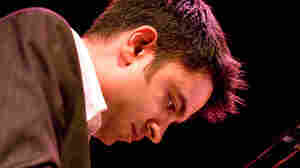 The trio has expanded jazz with elements of hip-hop and electronic music, a mix that critics have hailed as visionary. May 11, 2010  The Unthank sisters consider themselves to be storytellers in the English folk tradition. They start out conventionally enough, sharing tales of drink, despair and death. But there's usually a subversive side lurking behind the eerie and strangely beautiful backdrops. 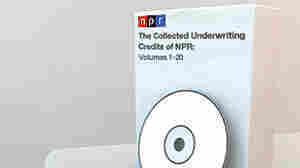 April 1, 2010  In celebration of NPR's upcoming 40th anniversary, the network released a CD boxed set of the network's entire history of funding credits. The staff of All Things Considered pities the fool who doesn't pick up this set on April 1. March 8, 2010  In a way, she's similar to iconic figures such as Janis Joplin or Billie Holiday — singers whose recordings define not just a style, but a way of being. Today, young performers talk about being intimidated when they attempt songs Regina made famous. Her work mulls the big questions of life and romance, one magnificent half-step at a time. December 15, 2009  A guitarist and composer, Rosenwinkel has been hailed as one of a handful of rebels helping to revitalize jazz. 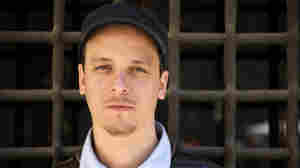 The 39-year-old, who grew up in the U.S. but now lives in Berlin, has earned respect for his inventive original tunes. But on Reflections, he concentrates on standards. Shakira: Just Following The Pack? November 23, 2009  On She Wolf, Shakira teams up again with songwriter-producer Wyclef Jean, but it sounds as if they're trying to recapture the magic of her global smash "Hips Don't Lie." The duo replaces the Latin and Middle Eastern beats with generic dance-pop diva moves. October 5, 2009  The four members of the South African rock band BLK JKS (pronounced "Black Jacks") grew up in different parts of the country, speaking different tribal languages. And they listened to a great range of music — everything from local rhythms to Sonic Youth to Duke Ellington. Those influences converge in a totally original sound on the group's full-length debut, After Robots. October 2, 2009  When a successful band returns after a long break, it's bound to worry about expectations. 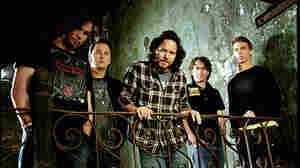 That's what's striking about new albums by Pearl Jam and Alice in Chains: Pearl Jam is the only one that sounds desperate to give fans exactly what they've come to expect. Alice in Chains sounds considerably more liberated. September 2, 2009  Looking over the entire history of popular music since the 1950s, who's the most interesting teen idol? The most musically interesting teen idol? The least talented teen idol?